Thanks for subscribing to the 37signals Newsletter. 2010 has been a really productive year so far. Here are highlights of some of the things we’ve been working on. 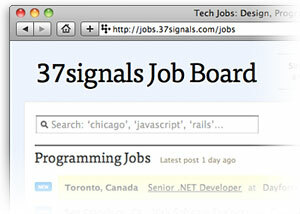 Since 2006, industry leaders including Apple, The New York Times, Facebook, and American Express have used the 37signals Job Board to reach the best & brightest minds. 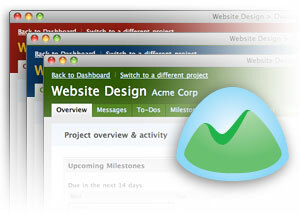 Project templates let you set up standardized projects with to-dos, milestones, and messages that are automatically added to new projects you create. Templates are huge time savers. 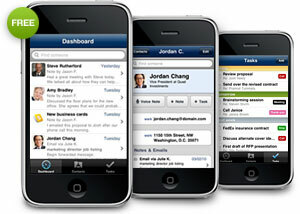 Everything in your Highrise account on the web is also in your pocket when you use the free Highrise for iPhone app. It’s simple CRM on the go. 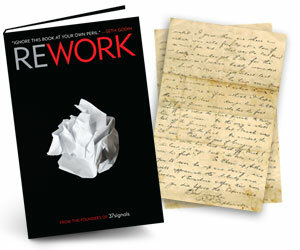 People all over the world have written us about how much they love REWORK. The names and logos for Basecamp, Highrise, Backpack, Campfire, Sortfolio, Ta-da List, and Writeboard are trademarks of 37signals, LLC. All text and design is copyright ©1999-2010 37signals, LLC. All rights reserved.